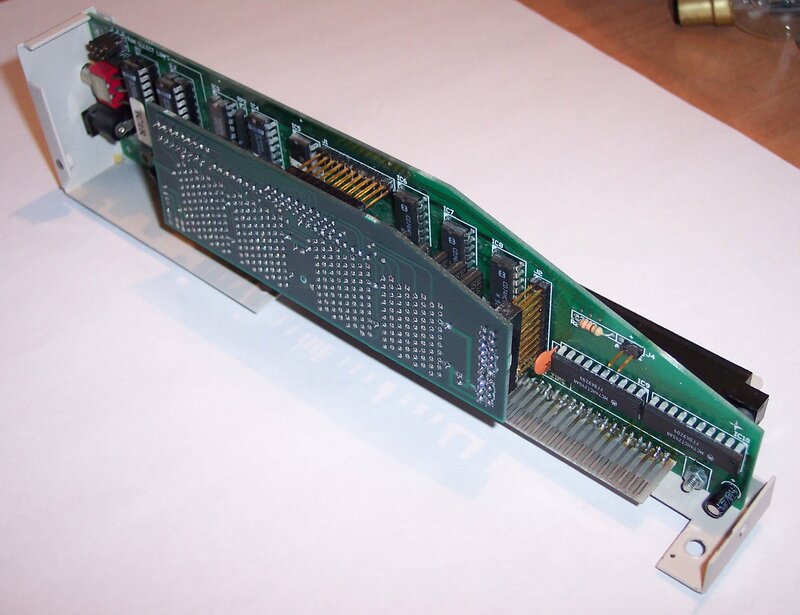 Connects to the side expansion slot of the A500 and includes a pass-through for attaching additional devices. On the back of the unit is a switch to set the RAM to either enabled or test. 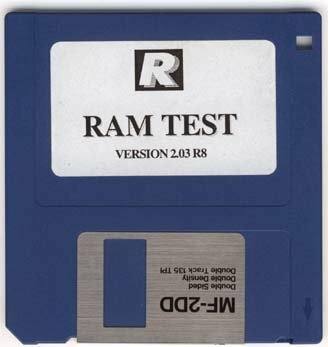 The Test position disables the ram for normal applications, but allows the supplied Ram Test utility to check the ram for errors. 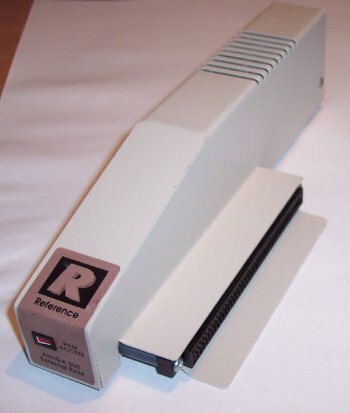 The front "RAM Access" LED is connected to the two pin header labelled "ACCESS" on the logic board and illuminates whenever a memory read/write is performed. The unit also has a power supply socket located at the rear for an optional external power supply.